A goat is a gift that just keeps on giving to a family in need. 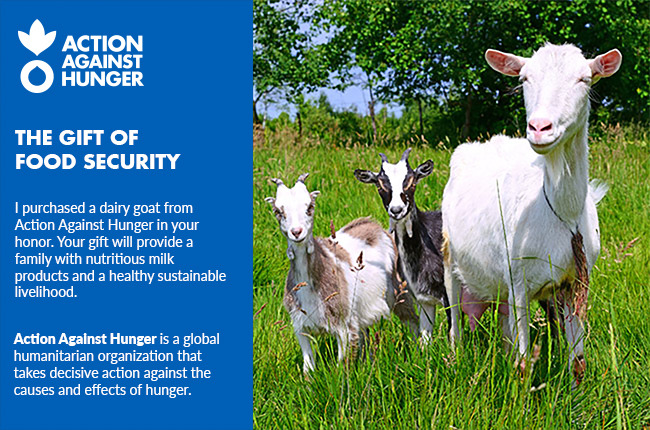 Dairy goats produce nutritious milk and cheese—products that can be absolutely essential for a family with children to promote their health and development. They can also be the basis for a family business, creating security and opportunity where there was none.